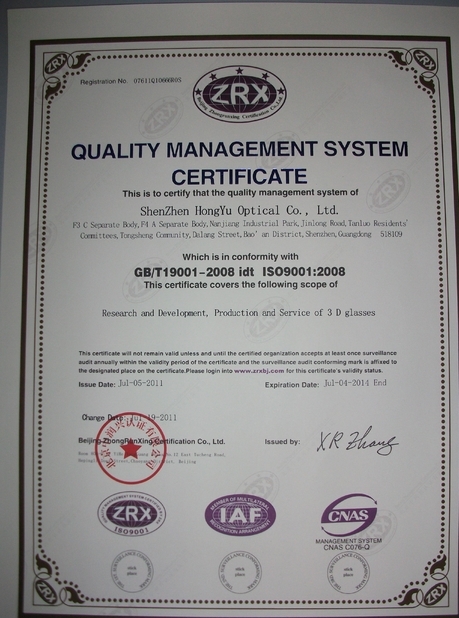 High quality foldable PC plastic frame Linear polarized 3D glasses, hardened surface. Usage area: watching 3D movie, 3D video, 3D television, 3D computer games, 3D pictures, 3D magazine, 3D computer game, science education medical 3D equipment…etc. Lens Available: Cyan/Red, Green/Magenta, Blue/Red, Green/Red. 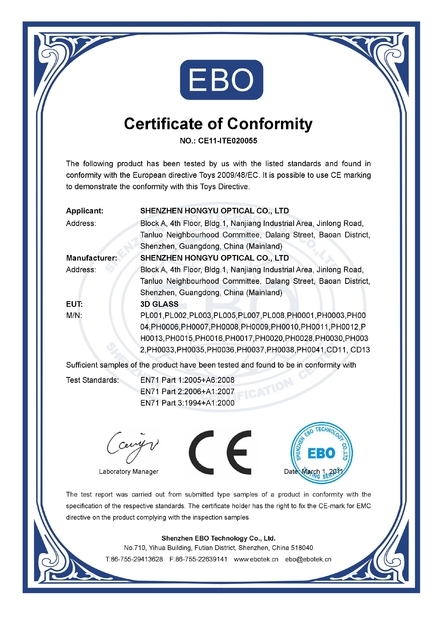 Linear Polarized lens, Circular polarized lens. Being printed with customers’s company logo, 1 color silk printing. Plastic thicken 3D glasses, foldable and reusable. High quality suitable for high end market.